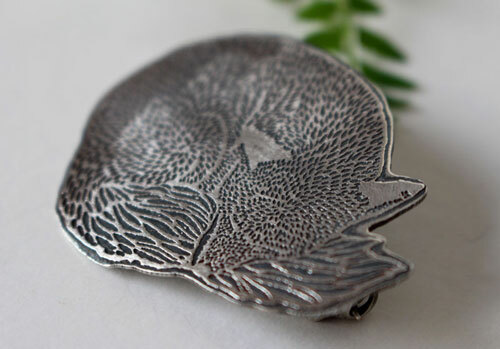 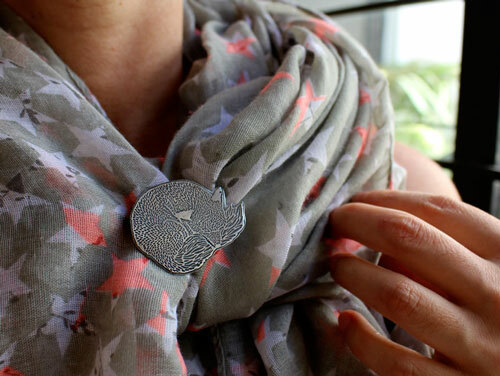 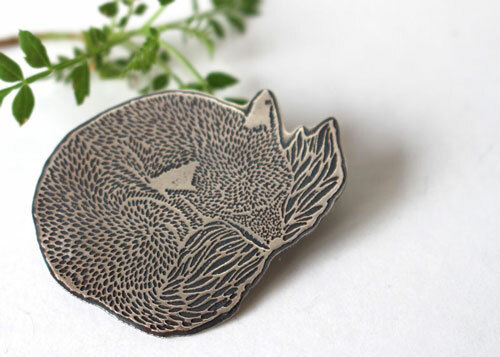 A sleeping fox on a grass bed is featured on this beautiful brooch that will be the perfect accessory for your scarf or your outfit. 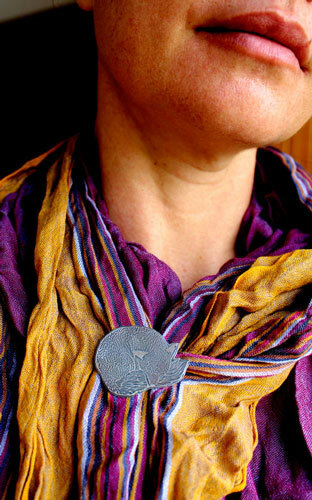 The brooch was oxidized to make all the bas-relief details pop. 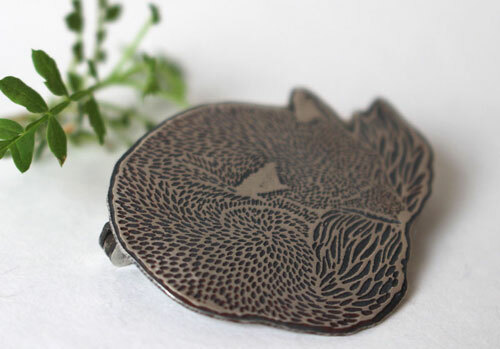 This pendant was made for nature and fauna lovers. 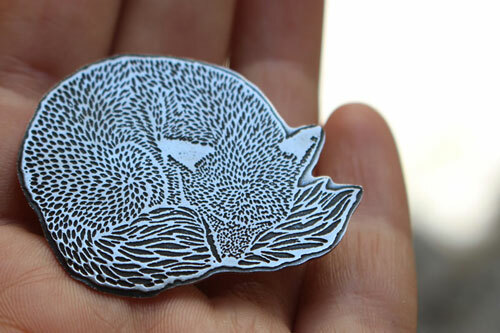 It reminds me of the fox in the book of The Little prince: a gift that will certainly be a winner for canidae lovers.